The 20-year flight schedule for small, unmanned aerial systems (UAS) was unfolded on Tuesday by the US Air Force. 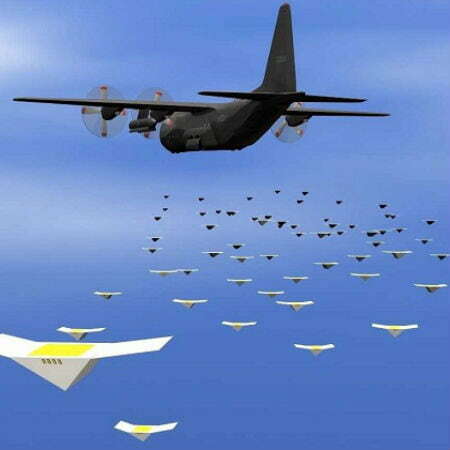 The use of swarms of scaled-down drones for attack and surveillance missions has been deliberated about by the Air Force. However, its enemies are designing more advanced weapons to parry conventional platforms. Hence, the service is reacting with a new plan to field little, flying bots to destroy enemy defenses. Teaming: not less than two resources, controlled by ground commanders, working together. Swarming: a great amount of minibots cooperating in a collaborative, or “meshed” network. Loyal wingman: a host program, for example, a manned fighter aircraft that controls several small UAS. As stated by Col. Brandon “BB” Baker, chief of the Air Force’s remotely piloted aircraft (RPA) capabilities division, swarming technology modifies the game for upcoming warfare. 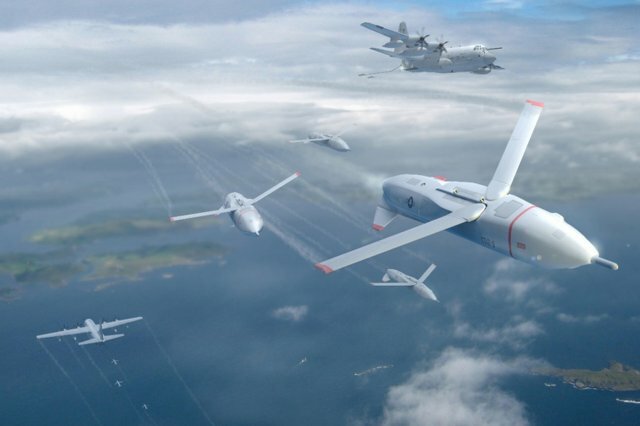 Baker also mentioned at an unfolding occasion at the Pentagon that commanders can employ the use of swarms for a single goal, like a main attack, or break up the bots within a region for an all-day surveillance. In place of gunning down a $20 million Reaper UAS or a $2 billion B-2 bomber at a go, the adversary would be made to track and destroy several, low-value targets. Hence, it can be implied that swarming drone technology can assist the Air Force in economizing money. A straight hit could destroy any one platform. However, a drone swarm can take several hits, rearrange and keep going, an ability Baker described as “self-healing”. A lot of examples of experimental drone platforms were showcased at the occasion: Boeing Institute’s RQ-21 Blackjack and Raytheon’s Silver Fox. The fact that the attempt is still in its prerequisite stage and that as of now the Air Force is centered on modeling and simulation was emphasized by Baker. He mentioned that he would be glad to witness swarming drones work-in-progress by 2036, but he does not have the ability to predict a timeline at this phase of the platform. Lt. Gen Robert Otto, deputy chief of staff for intelligence, surveillance and reconnaissance, emphasized that the technology is still in its initial phases and that the flight schedule made public on Tuesday is a “vision” for upcoming air warfare. “We do believe that small, unmanned aerial systems will be the cornerstone of Air Force ISR as we look through the next 20 years,” Otto stated.